Tenju. In the mountains, you seem to get different kinds of tempura (maitake, satsuma-imo, green pepper, gobo and carrot kakiage, and the lone shrimp). 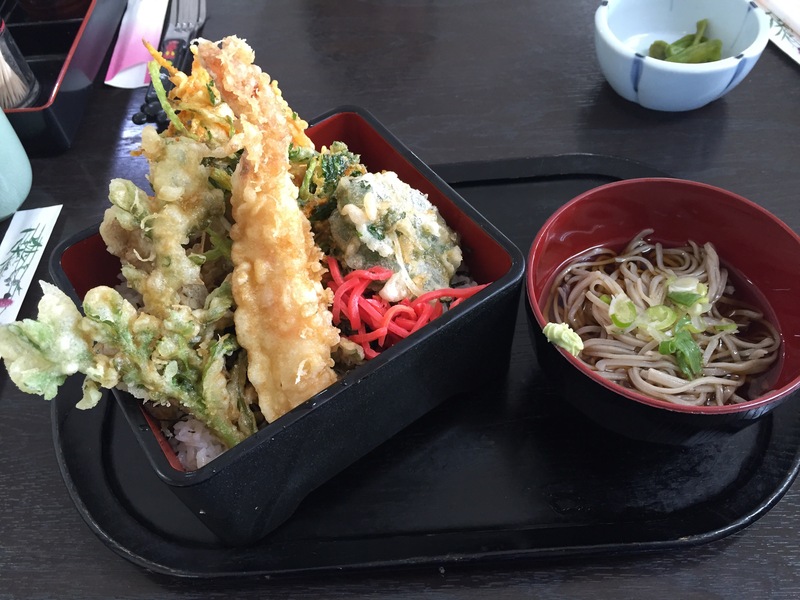 It also included a small serving of soba noodles.